Designed and manufactured to maintain a stable water pressure in all the distribution systems avoiding frequent burst of speed of systems pumps. Hydrophore groups are essential in maritime and offshore facilities for the potable or technical water supply or fire protection system. Tanks, pipe and valves are manufactured in stainless steel AISI-316L. 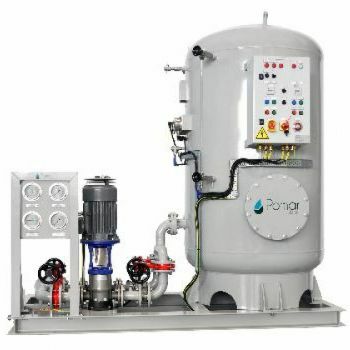 Units are supplied including electric panel for control and pump operation. It can be also be supplied with loose elements or installed in a common frame.